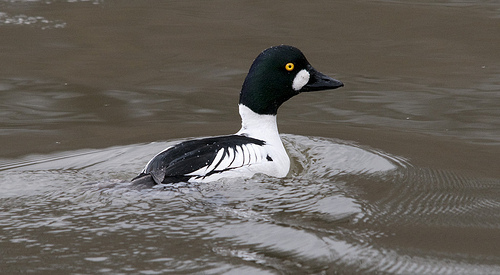 The Goldeneye has a white chest and a white spot at the base of the beak. 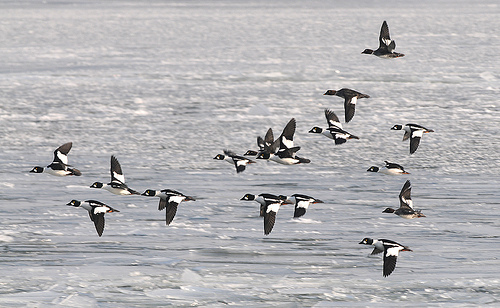 The Tufted Duck is black, with white flanks. 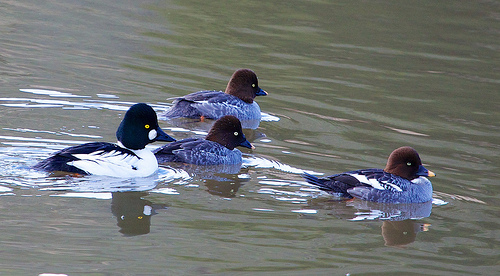 The Greater Scaup has a black belly and a light grey back. That is exactely reversed for the Goldeneye.